How Important Is That Cell Phone Call? Traffic safety advocates and experts have been preaching about the dangers cell phone use for years, and are pleased to see high powered advocates like Oprah and Secretary LaHood taking up the cause. Our most recent Traffic Safety Culture study confirmed drivers are hearing the message with 80% saying they agree that distracted driving is a serious threat to road safety. However, 67% of those same drivers also admitted to using a cell phone while driving in the previous month. This clearly indicates while the message is being heard, driver behavior still isn’t changing. This “Do as I say, not as I do” attitude must change! Undoubtedly, many drivers believe they have above average skills and can multi-task with any consequences. However, a recent study by the University of Utah has reconfirmed that our brains are simply not wired to multi-task. Earlier work at Carnegie Melon University summarized in a recent National Safety Council White Paper showed that relevant brain activity “decreased by 37%” when multi-tasking. Hopefully, these new findings will convince drivers to give up their cell phone habit while driving. And, the next time you are in a vehicle and are tempted to make a cell phone call, just ask yourself the question – How important is that phone call? Is it worth risking getting in an accident, damaging your car, injuring or even killing yourself or someone else? I hope you will agree that the only correct answer is no to all these, since far too often someone else pays the price for another driver forgetting that. No phone call or text message is worth the risk and potential consequences! I don't know about you but sometimes a little friendly competition spurs me on to take that extra step. The US Census office has a very cool map that shows us our state census participation rate. I had a chance to look at it today and realized that we were losing, well not really losing, but definitely behind several states in our participation rate. UPDATE 4:30 p.m. Tuesday, March 30: And, so that fickle Mother Nature went and threw us a curveball...Due to the threat of more severe winter weather forecast for the Cascade mountain range, Washington State Department of Transportation officials today extended the deadline to remove studded tires through April 10. Drivers must remove their studded tires by 12:01 a.m., Sunday April 11. Travel over the mountain pass highways and in typically-snowy Eastern Washington sure has been odd this year. Now, the word “drought” seems to be popping up all over the news. But first we have to get through the last few weeks of March and into April. April 1, 12:01 a.m. is the deadline to remove your studded tires. In Washington, studded tires are legal Nov. 1 - Mar. 31. You can receive a $124 fine for studded tire use after the deadline. Studded tires damage the highway, and make it harder to stop on wet or dry pavement. In icy conditions, studded tires add some benefit. Our forecasts don’t call for any large-scale snow or ice storms. (well, oops..that changed today) And next year, please talk to your local tire dealer about alternatives that offer that same ice benefit, are safer and don’t damage the highway. If you are driving into the higher elevations, be prepared as El Nino may bring some typical late March and early April conditions. While good for the summer water supply, those of who have enjoyed some almost 70-degree days may be a little surprised to see snow in the mountains. Some mountain snow is typical in March and April. Please remember, no one can guarantee bare and wet roads everywhere, all the time. Plan ahead, carry chains and drive for conditions. On the WSDOT Winter Driving Web site, you can find answers to some questions we receive over and over (FAQ), ways to prepare for winter driving, winter driving tips, plus more about WSDOT’s winter roadway operations, snow and ice removal and avalanche control. to image the ground underneath. Vern Potts, a former Air Force reconnaissance pilot, is WSDOT’s primary aerial photographer. He is often among the first to see the full extent of natural disasters that affect our state highways. 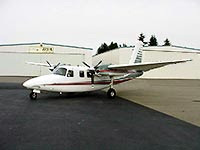 His photography studio is a twin-engine Aero Commander aircraft that’s on contract and available 24/7. The aerial photography team can mobilize to fly and take photography in only one hour. 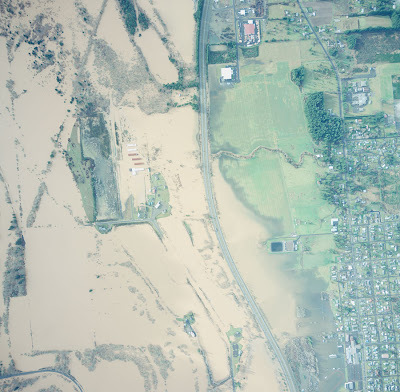 When flood waters engulfed I-5 in December 2007, Vern surveyed the immediate damage from the air. 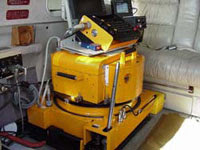 Using WSDOT’s sophisticated aerial mapping camera mounted inside the aircraft, the resulting images detailed the extent of the flooding. No other technology provided engineers on the ground with this kind of big picture analysis. It’s this expansive view and the unique frame of reference that makes aerial photography such a valuable tool and gives Vern such a cool job. All this flying and photography has produced an enormous archive of aerial images dating back to the 1930s. These photos have established historical truths and resolved disputes in more than a few courtrooms. The public most often uses aerial photographs during the construction permitting process. Sometimes, aerial images are used in unexpected ways. A number of years ago, family members came to the aerial photography office when they were unable to locate their parents’ grave sites after a recent visit to a local cemetery. They searched the aerial image archive. After locating images of their parents’ missing grave sites, and comparing those to more recent images of the same area, it was clear that the cemetery had paved a parking lot on top of their parents’ plots. From natural disasters to corporate catastrophes, aerial photography provides an irrefutable record. Aerial photograph of flood waters over I-5 in Lewis County. Jim Walker, Program Manager, explains that it is an operation supported with revenues generated from the products produced and services provided. Because it is a cost-recovery only operation, there is no profit motive or additional price markup to the customer. Explore WSDOT’s Aerial Photography Web site where you can see the most requested aerial images produced by Vern and the team. To purchase a print, to search the archives, or to arrange for a flight, contact the aerial photography office at 360-596-8950. The substantial drop in highway deaths in 2009 is great news and something we should all applaud. But this good news in no way should weaken our collective resolve to further intensify our efforts to further enhance traffic safety. 33,963 deaths is a huge number – an outrageous number. And yet, many motorists, citizens, legislators, regulators and society, in general, have for the most part accepted this huge number of traffic deaths, seemingly as the price we need to pay to enjoy our mobility. The cars we drive and the roads we drive on are clearly safer today that they were 25 years ago, and the historical downward trend in serious traffic crashes reflect that. But, let us not forget that over the past 25 years, we have lost over one million men, women and children in traffic crashes in this country. Clearly, what some have called the disease of mobility deserves more serious attention. Many traffic safety experts believe we could reduce this carnage by as much as 50% if we had the political courage to implement known solutions. As an example: For every mile that they drive, a 16- or 17-year-old is over 500% more likely to be involved in a fatal crash, compared to a 40-year-old. This shouldn’t be a great surprise. Learning to drive a car, at realistic speeds, on a public road, and interact safely with other traffic, is a tremendously complex undertaking. It requires skill, experience, and a mature attitude—all things that a typical 16- or 17-year-old who has been licensed for a few months is well on the way to developing, but really doesn’t have enough of yet. But that doesn’t mean we have to accept that enough teen-agers to fill a couple of large high schools are going to die on the roads every year, just because we as a society choose to value mobility. A couple of decades ago, most states would just let a young person take a trivially-easy road test and then turn them loose on the road. Things are different now. We know that when the licensing system is designed to protect newly-licensed young drivers from the most needlessly dangerous conditions—like driving late at night or with other teen-agers in the car—and then gradually phase in more privileges as they improve their skills and gain experience, more sixteen-year-olds live to celebrate their seventeenth birthday. Every state now has at least some elements of what we call graduated driver licensing. In 2008, the most recent year for which complete data is available, 261 16-year-old drivers died on our roads. In 1995—the year before the first state graduated driver licensing system was put into place—the number was more than twice as many: 528. Graduated driver licensing is clearly a success story. To be sure, most if not all states can still do an even better job of protecting their young novice drivers, but we have seen great success here. There are more success stories just waiting to be had. Case in point: half of all fatal crashes involve a driver inadvertently crossing over the centerline or driving off of the road. Engineers know how to keep drivers in their lanes, and how to prevent anything catastrophic from happening if somehow they do still drive out of their lane or off the road. But making roads safer requires investment, and historically, we haven’t put anywhere near enough money into making our rural roads and highways acceptably safe for our motoring public in this country. A few years ago, the Missouri DOT decided that when you’re driving down the Interstate, you shouldn’t have to worry about a car coming from the opposite side of the highway veering out of control and ending up in your lane. These horrific crashes used to kill a couple dozen people a year on I-70. So Missouri decided to invest in some simple cable median barriers that prevent out-of-control vehicles from ending up on the wrong side of the Interstate. Now, these types of crashes have been virtually eliminated. But there are still a lot more roads in Missouri. There are a lot more roads in the United States. We can make them safer. But it won’t just happen by itself, we have to make it a priority. At the AAA Foundation for Traffic Safety we initiated new research to understand why we remain so complacent. To that end, one of the major findings is that many drivers have a “Do as I say, not as I do attitude.” For example, 80% of respondents viewed distracted driving as a serious problem. But, 2 out of 3 of those same drivers said they used their phones while driving in the last month and of those and half said they knew it increases the likelihood of being in a crash. Each of us, must look in the mirror and honestly evaluate our own attitudes and behaviors, and not just always blame the other guy for all the problems. And, now more than ever, we should all get more involved in asking our Federal, state and local road authorities, regulators and legislators to increase efforts so that one day a zero death vision will be a reality. Measuring communication is one of the more difficult things about this business. Experts have debated for years the science of measurement for public relations and public involvement. Especially in a non-profit/government context, which is not tied to a distinct bottomline, defining success by the numbers is a tremendous challenge. This year, the WSDOT communications team decided to ask our blog readers, Facebook friends, Twitterati and other on-line contacts to give us some feedback. The results were very interesting and for us, very valuable. In November we sent out a link to an online survey to more than 65,000 e-mail addresses that are part of our GovDelivery listserv databases, and we also posted the link on Twitter and on this blog. Within a few hours we had thousands of responses. The results of that survey have been incorporated into our 2009 communications annual report (pdf 1.8 mb). We know this was not a scientific sampling. But the feedback was tremendously helpful in identifying areas in which we can improve. Please take a moment to look through our annual report. We have organized the report to explain our outputs - those things we published and sent to the public and the media - and the outcomes, which mostly is comprised of your survey feedback. Since this is the first annual report of this kind, we have considered many of these measures as baselines against which we will be able to chart progress in future years. Perhaps the reason that measurement and return on investment has been so difficult for public relations and public involvement has to do with how much of our success is based on relationships. We value you as a reader, as a person who uses the transportation system. And, we look forward to continuing to serve you with creative, interesting and useful communication information in 2010 and beyond. For the past few months, a group of us have spent hours and hours talking trash. We have – and still are – working very hard to increase participation in WSDOT’s Adopt-a-Highway program. Own a business? Think about Adopt-a-Highway. Get your business name on a highway sign and let your customers know you care about the community. And don’t just take my word for it. See for yourself. And then join Adopt-a-Highway. If you can't access YouTube, see the video here. How does Census relate to transportation? Well, quite a lot actually. As you may know, the federal Census Bureau counts the entire United States population every 10 years. The results of this year’s Census will determine where federal money gets directed in support of community services such as schools, roads and public transportation. As much as $400 billion in federal dollars are distributed back to states and communities. The Census results also determine the number of seats each state gets in Congress, based on population. Washington’s congressional delegation helps secure federal funding for important transportation projects such as the SR 520 Bridge Replacement and HOV Program ($0.24 billion), I-5/SR 16 Tacoma/Pierce County HOV ($70 million) and the US 395 North Spokane Corridor ($18 million). Here at WSDOT, we use Census data when we plan and design transportation projects. We evaluate both the negative and positive effects that can be expected on a community. Census data helps us develop a snapshot of the community – everything from population, to home ownership, to identifying the needs of residents. Using Census data, we can determine when interpreters and translated materials are needed, and determine how best to reach people who are transit dependent, low-income or have other needs. This helps us ensure that all affected people can participate in our public processes. You should be receiving your Census materials in the mail soon. We join our federal partners in encouraging you to complete and mail back your Census form – by doing so, you’ll be helping Washington’s communities. There has been a lot going on lately in regards to federal transportation funding, otherwise known as SAFETEA-LU (Safe, Accountable, Flexible, Efficient Transportation Equity Act: A Legacy for Users). Our own Larry Ehl has a great synopsis of recent events.